This week, Greatist turned three. And while that may seem young, it’s actually longer than most startups last—and we couldn’t be happier about how much we've grown. To celebrate, we’ve spent the week looking back on our triumphs, appreciating the Greatist stories of all time, and doing other great things like eating funfetti cake, playing laser tag, and campaigning to win a Webby. But the most important part of this celebration is YOU. Without our awesome readers and loyal fans, we wouldn’t be here. And without your incredible stories and feedback on what you’d like to see more (and less) of, we’d honestly be a little lost. You guys are the energy chews to our marathon—and we can’t thank you enough. So today, we want to highlight some of the journeys that have inspired us and kept us going. We hope they touch you as much as they’ve touched us! Before: A few years ago, I moved from New York City to the middle of the country to be with my husband. While in NYC, I lived in a third-floor walkup, walked all over the city, worked an energetic job, and was an active CrossFitter. After my move, I became someone else—someone who didn’t move much. And my clear mind and exuberance were replaced by lethargy, depression, and the dreaded growing body circumference. Just when I picked up the motivation to change, I got pregnant and that motivation flew out the window. Sweet cravings overcame my desire to eat healthy and sickness overcame my desire to exercise. Following the birth of my daughter, I was feeling dejected, fat, and ugly—which was the fault of no one other than me. 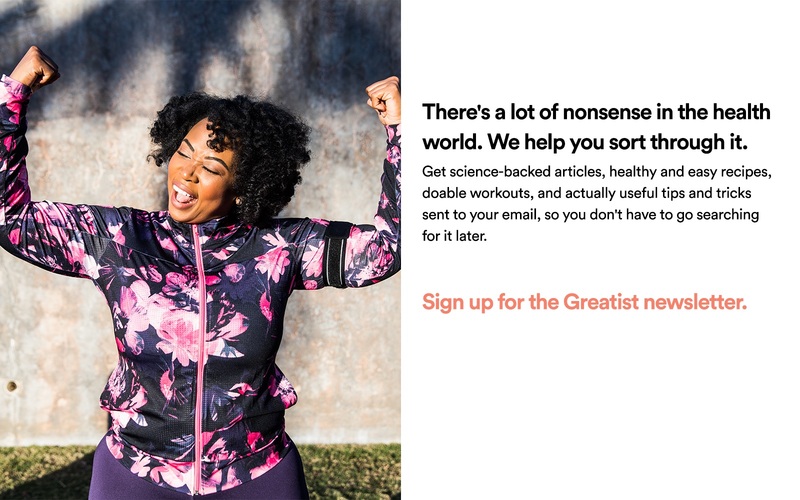 After: With Greatist, I see others who view health and happiness as a part of everyday life—not as something to try to attain and then check it off a list. I am now healthy, and I am happy. I have that. I have always had that. And the only person that can take it from me is me. Every day I can look to Greatist for a healthy recipe that tastes just as delectable as the accompanying photo. No more food that “tastes healthy” with a negative connotation. And on those rainy days when my mood matches the weather outside, I can find inspiration to bring me out of my rut. They say it takes three weeks for something to become a habit. I think I can make a new, good habit every single day with the help of Greatist. I can be comfortable, self-assured, proud, and the best role model for my family—no matter what. Before: About seven months ago, I was given the opportunity to work closer to home. (My commute was reduced from one hour to 12 minutes each way.) I wasn’t thrilled, however, that I would no longer have access to the boot camp class I had faithfully been attending. And I was nervous I wouldn’t be able to maintain the fitness level I had built. After: Signing up for a traditional gym wasn't an option, so I gave it a go alone—with Greatist. I work out five days per week (usually), and look to Greatist every day for their GWOD. And I'm still going strong. In fact, I've actually lost weight. It turns out bodyweight exercises agree with me more than lifting heavy weights. I also appreciate the perspective Greatist gives: that we are all human and life is to be enjoyed through health, at any stage. Before: Last year, I made the decision to go to Italy for six months as part of a student exchange. Having lived in a sunny place for the majority of my life, unfortunately (or fortunately) I'd never had to worry about working out when it was freezing outside. After: Greatist taught me things I could do to get around that. Now I'm a pro at bodyweight exercises. (Thanks Greatist, you really pulled through with that one.) I even stayed sane during the six months in cold temps and learned how to live. It might not seem like a big thing, but it really was. Greatist also showed me that your physical health is only one aspect of a healthy lifestyle. It showed me that you can't just concentrate on killing it at the gym and only drinking protein and Acai berry smoothies—or whatever people do. It taught me that your mental and social health is just as important. And that sometimes you need to take a day off working out and eat every sweet thing in your house. And sometimes you need to stay up until 1 a.m. talking to your best friends. Sometimes you even need time off work and school. These things are vital to being happy! Before: When I first found Greatist, I was extremely overweight with nasty habits and low self-esteem. After: I started by reading articles on the benefits of running, slowly adding exercise into my daily routine and watching what I ate. 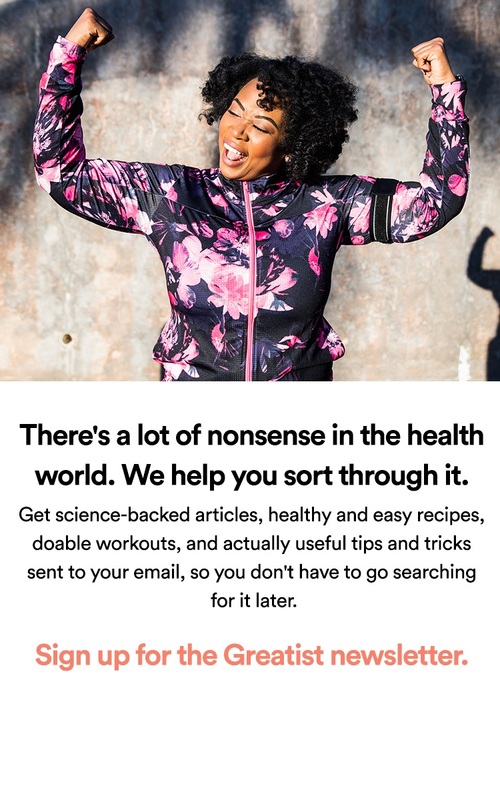 Now I'm 80 pounds lighter—and I continue to use Greatist's tips when I'm at the gym or running the trails. Greatist gave me the motivation and information to kick those bad habits and live a more positive, healthy life. Did Greatist change your life? We'd love to hear your story too!